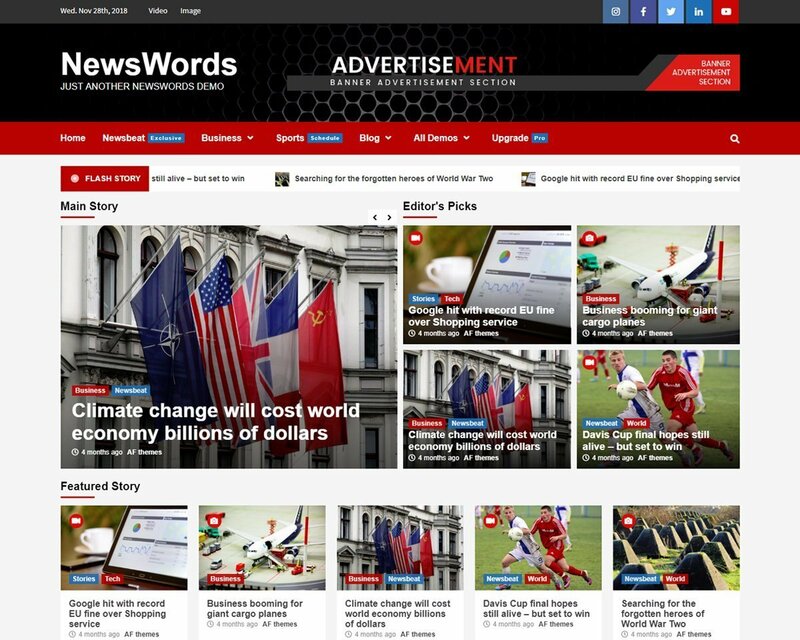 NewsWords is a child theme of CoverNews. The theme is coming with different main banner section layout as well as changes on essential title fonts and color setup. 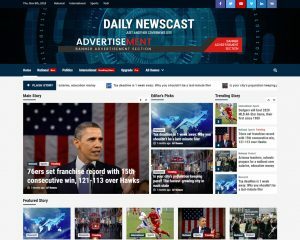 More importantly, the child theme also added advertisement banner widget section, which will facilitates user to add widgets having adsense/adwords scripts. 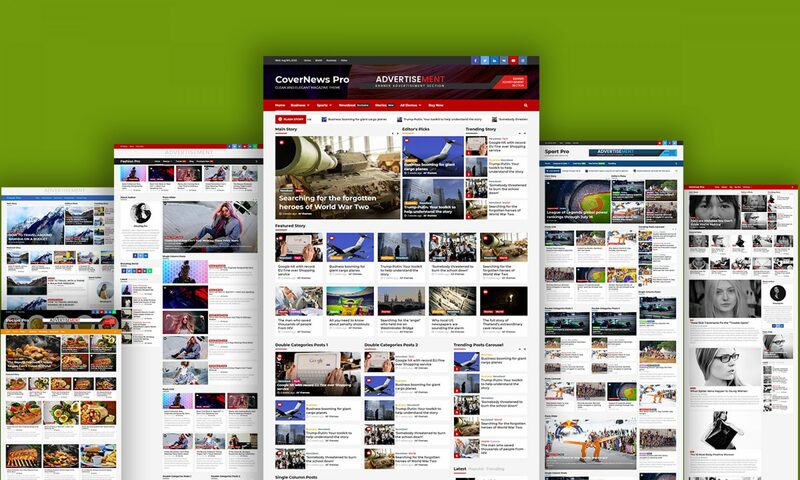 Furthermore, the theme also altered some of the frontpage layout’s default value. 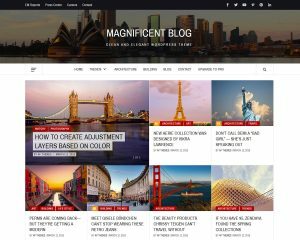 With the help of available customizer options along with widgets, you can implement layouts as a clean and minimal blogging site, sport blog, fashion blog, photography blog, wedding blog & magazine and even more. The theme is SEO friendly with optimized code and outstanding support.